Missing from the Stars lineup on Saturday was defenseman Cam Barker, who was released by the club after Friday night's game. Barker was on a 25-game professional tryout, which would have ended after Saturday's game. His departure left Texas with only six defensemen. 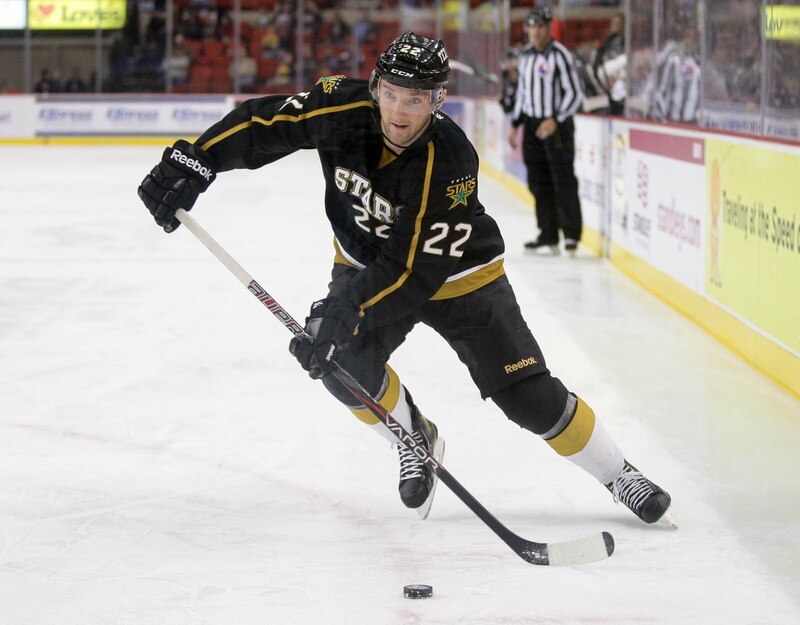 The Stars announced today that Hubert Labrie has been called up from the Idaho Steelheads to be the seventh defenseman. 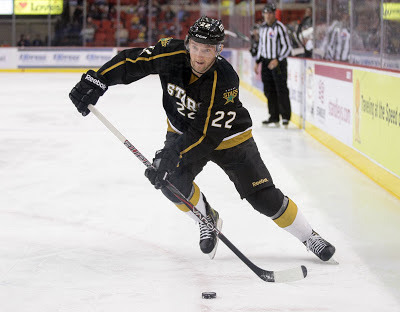 The former first round pick Barker had 23 games of work for the Stars, scoring three goals and five helpers and earning a minus-5 rating. He got a lot of work on the powerplay and shot the puck a lot for Texas. He is second in shots on the team at 66, just three behind leading goal scorer Matt Fraser. With the NHL lockout facing an impending do-or-die moment, Barker may have felt that he should make himself ready to start up an NHL contract. However, it seems odd that he would not consider playing in the AHL to be an excellent conditioning stint and something that would show he is ready to play at the highest level in the world. Hubert Labrie has been effective for the Steelheads this season. He has two goals and three assists matched with a plus-10 rating. He's also been racking up PIMs with 46 so far in 22 games. He may see his ice time drop to near zero as Tyler Sloan will shift into the lineup. It seems unlikely that Texas will scratch Sloan or Nemeth on a regular basis to get Labrie in, unless he shows something big. For those wondering about Jace Coyle, he has not played for the Steelheads since December 7th as he is recovering from an injury.